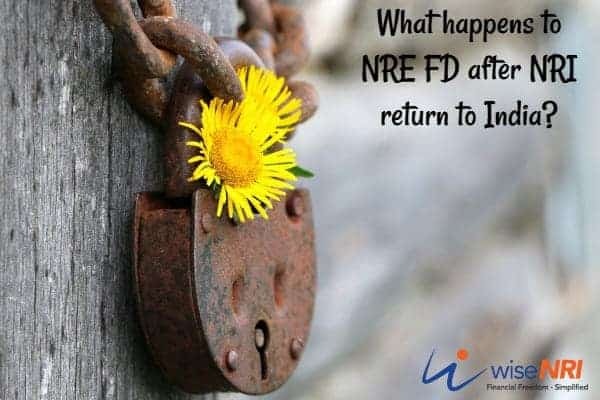 One of the most common questions that I get from NRI is – what will happen to my NRE FD after return to India? This question is on top of his mind because most NRIs locked their savings in long-term NRE FDs & they are giving high interest which is tax-free in India. You can also get RNOR Guide from this post – important in the case of NRE FDs. Movement of funds is easy. FCNR accounts are protected from exchange risk. Many banks provide loans against FCNR deposits. They can be continued in the same state till maturity whether you return to India or not during the FD tenure. An NRE FD can’t be open in joint name with an Indian resident, even if that person is a direct family member. There is repatriation option on investment through NRE Account. There is no repatriation option on the principal investment or it’s tough. Funds that have been originated in India or funds from an NRE account can only be used to open an NRO FD. NRE and FCNR FDs can be opened with funds received abroad as well. As an NRI, you can make use of NRO FDs for investing money that you have earned in India and/or if you want to open a joint account with an Indian citizen. Go for an NRE FD is you want to mainly park funds from foreign countries and want the money to be fully repatriable. These deposits can remain as-is until maturity when an NRI returns to India and become a resident Indian. They need not be converted to resident accounts. Withdrawals from both these accounts can be done only in Indian Rupees. If we break NRE FD before maturity then interest is calculated only for the duration deposit remained with the bank. Prematurely breaking of NRE FD attracts penalty which varies from bank to bank. NRE and FCNR fixed deposit accounts can be converted to Resident Foreign Currency (RFC) accounts after maturity. The currencies allowed for RFC accounts are freely convertible currencies such as US dollar, Euro, British Pound and Japanese Yen. NRO fixed deposit accounts have to be converted to Resident accounts. The interest rate will be payable at the original rate if the deposit is held for the full term even after conversion into a resident foreign currency account. During the 7 financial years preceding the year the person returned to India, he/she has stayed in India for a period of 729 days or less. A person usually has the RNOR status for around 2-3 years. If the status is ‘Resident’, the interest is taxable. Interest income from NRO account is taxable in India whatever the residency status be. If the interest is taxable, then it has to be considered in the income source – ‘Income from other sources’ while filing tax returns. After returning to India you become resident Indian and your global income becomes taxable in India. Of course, Double Taxation Avoidance Agreement ( DTAA) may be availed if the oversees is also getting taxed locally, so to plan your stay in India try to maintain RNOR status for the maximum possible time. In such scenario except for some income, rest of your foreign income will remain exempt from tax. The NRI has the responsibility to inform the bank on a change of residency status so that the bank can take the necessary steps on the accounts held by the NRI. On becoming resident the onus is on you to notify the bank of the change in the status. The amount in the RFC account can be used for remittances abroad and investments abroad. If you decided to go abroad again for a long term you can either remit the RFC balance abroad or transfer fund from your RFC into an NRE or FCNR account. Immediately on return to India, NRIs should inform their bank to designate their accounts as domestic Resident accounts or transfer the balance in their NRE/FCNR accounts to Resident Foreign Currency (RFC) accounts, if so desired; FCNR accounts can be continued till the date of maturity and upon maturity, can be converted to RFC accounts. NRI after becoming resident in India can also create a separate tax profile like HUF and take separate tax exemption limit to HUF. There is also NRO– Five years tax saver Fixed Deposit that will be eligible deduction under Section 80C of Income Tax Act, 1961. This also provides NRIs an opportunity to diversify their investments in addition to other investments permitted in Section 80C. The maximum amount to be invested in this should not be higher than INR 150000 in a financial year. No Overdraft or pledge allowed in the NRO – Five years tax saver Fixed Deposit. In Five years NRO TaxSaver Fixed Deposit there is monthly and quarterly payout option is available but there is no partial and premature withdrawal is allowed. As an NRI, let us know your experience if you ever asked your banker – NRE FD can continue after return to India? Please share their response in the comment section. 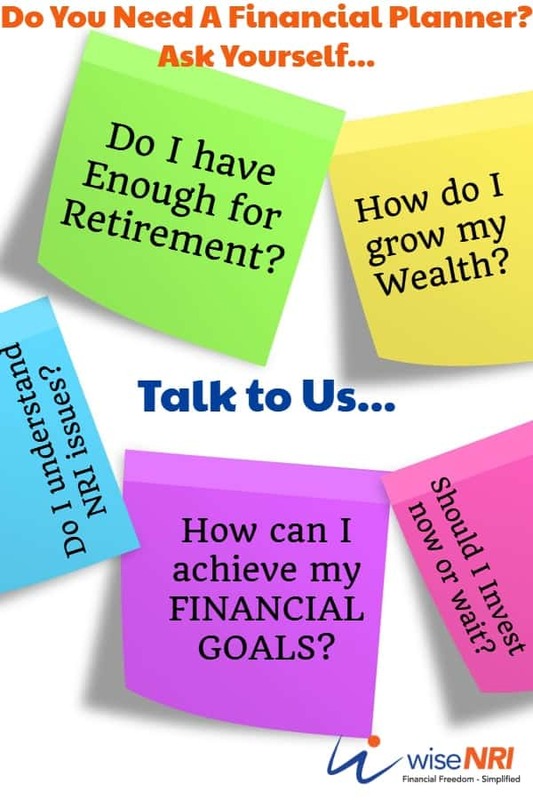 If you have any additional or updated information – must share that will really help every NRI. My bank has said NRE FD account can continue till its maturity after that will become an normal resident deposit. Thanks for sharing. Few banks tell their customers to take a premature withdrawal they have some technical issues..
Really very useful tips. I had these queries as I am planning to return to India and even our RM from banks could not provide satisfactory replies to my queries and all my queries infact answered in above post. Especially RFC account and RNOR status are first time information to me. So, I can continue to avail tax free income even after returning to India by converting NRE FD to RFC account after maturity! Suppose if my NRE FD matures after 3 years of my return, can I still transfer that money to RFC and avail the benefit! Regarding your query – interest income on NRE FD will be taxfree in India till the date your status is NRI or RNOR. thanks for addressing this important topic.Is NRE FD even possible once someone becomes RNOR? Or one has to convert it into RFC? RNOR is a tax residency status. You can have a NRE FD or FCNR FD only if you are a person resident outside India under FEMA. A person who has returned to India for employent becomes a person resident in India under FEMA immediately on return. After that he can only open a RFC account that is designated in foreign currency. Instead of 5-year Tax saving deposit, one may choose ELSS (tax-saving mutual fund) which is locked up for only 3 years, and offers greater chances of appreciation, and increased tax efficiency. 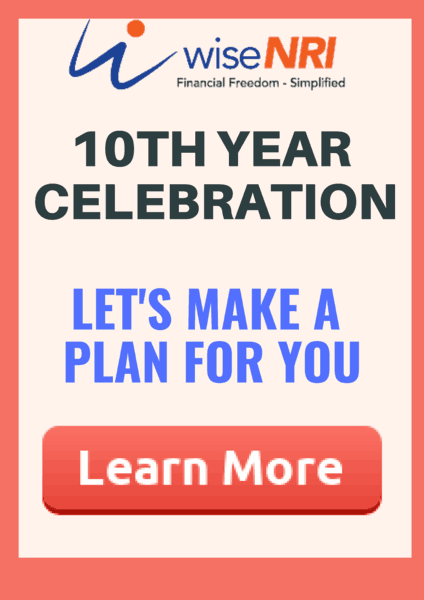 With ELSS only 10% long-term capital gain tax is to be paid; in case of bank FDs, the interest is to be shown every year in your tax papers, and tax is to be paid according to your slab. With NRO account, bank will deduct higher TDS. Even if you owe no tax, to recover your money (interest amount) more paper work (15H, or filing tax forms to get refund) needs to carried out, which is an avoidable head-ache. Taxability in India is dependent on whether an individual qualifies as an Ordinary Indian Resident (ROR), Not Ordinarily Resident (NOR) or Non-Resident (NRI). An ROR is liable to tax on his global income, while a NOR and NRI is liable to tax on the income ‘earned’ in India. NRI benefits are available to a person till the time he holds the NRI status in India; a person loses his NRI status in the same year when he returns to India or within 2-3 years from the date of arrival to India, depending on the number of days of stay in India (explained below). Foreign exchange and overseas assets (such as bank accounts, stocks/securities, life insurance policies, loans, company deposits, debentures, bonds etc.) acquired/held/owned by NRI while he was abroad can be continued to be so held and owned even after the NRI returns to India for permanent settlement. Such foreign exchange and overseas assets can accumulate or accrue income outside India and the balances can be utilized for reinvestment or repatriated to India at any time (without attracting Wealth tax in India) within 1 year immediately preceding the date of his return or later. This exemption period is limited to 7 successive years which immediately follow the year in which the NRI permanently returns to India. NRIs can continue to hold immovable properties outside India. Such properties can be rented out and rentals can be credited to overseas bank accounts. The properties can be sold and the sale proceeds credited to overseas bank accounts. Expenses relating to such properties, such as maintenance, insurance premium etc. can be paid out of the overseas balances. i want to know after becoming resident indian from NRI status, do I need to break FDs of NRE account? You don’t have to break – you can continue. How is that possible i.e. to continue with NRE FD ? You had said before that NRE accounts are to be converted into Resident Accounts. Bank will have to close NRE FDs in such cases in their System (GL) and open new Resident FDs with same interest rate and maturity ? After matured the NRE FD, and become a resident, need to pay tax for the interest from the deposit. Banks in india deduct tax once you inform them that you are back for the nre fds. The expiry of rnor status please share it.it will be of good use to many of the returned indians. After returning to india you can hold NRE FD till maturity. After that you have the option to convert it to RFC Account. Sorry to hear that but you should talk to higher authorities in the bank. After long 27 years working abroad I have returned back to India on 9 Feb, 2019. I have saving in NRE a d FCNR deposits. Being NRI the interest was tax free in India. I want to maintain the FCNR as it is for my children higher edication at USA. What is the most efficient way to restucture my investments. Like in NRE , NRO etc.